View movements and trends from critical data sources. All the monthly data reported in WASDE, WAOB reports since 2006. Supply and demand balance sheets for 61 commodities in 213 countries and regions. NASS reported U.S. state level planted area, harvested area, production, and yield data. Monthly exports of 17 commodities for all destinations from the U.S., Brazil, and Argentina. Yields are correlated with crop conditions and planting dates. This report was prepared for 2019 Michigan Agri-Business Association Winter Conference, January 14-16 2019. Free of charge for our visitors. Take our free interactive report for a test drive! Track NASS Broiler Hatchery national/state level trends for eggs set or chicks placed. View a breakdown of the U.S. broiler industry at the state level. Only IAG compiles and cultivates the hard data, then harvests it to create these one-of-a-kind, feature-rich INTERACTIVE reports that keep you on target. View Sample Reports | Log In Log in to subscribe or view your subscribed reports. FREE report! Follow the traders. 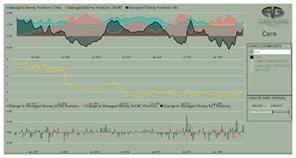 This weekly report will show you the managed money (speculator) position. Simply input a commodity and see how the position impacts price over any designated time frame. The big picture at your fingertips. In this monthly report you’ll get domestic and international supply and demand balance sheets, country and commodity summaries, historic WAOB WASDE reports and U.S. NASS Crop Production, state level acre/production/yield data. You can also track the top 10 export destinations for selected commodities from the U.S., Brazil and Argentina. FAS-GATS, INDEC, MDIC. This report will allow you to quickly sort through what changed in the WASDE report compared to previous one. Differences can be listed by commodity and attribute level to highlight the search topic. Actively monitor FAS export levels for dozens of commodities. Track current export rates versus expectations and historical levels. You can also view which countries are buying and how much they’re buying. Export data for 17 commodities, including Corn, Soybeans, Wheat, Beef and Pork, from 3 Reporters: USA, Brazil, Argentina; for All Destinations! Additional Reporters are also coming! 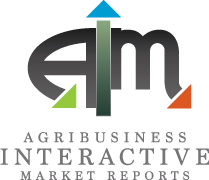 The monthly exports report will be your favorite tool to analyze major agricultural exporters’ trades. Stay on top of the commodities markets. Track NASS weekly crop progress and conditions data for winter/spring wheat, corn, soybeans and cotton at national and state levels. 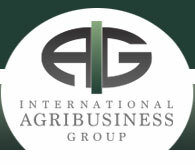 This report was prepared for 2019 Michigan Agri-Business Association Winter Conference, January 14-16 2019. Free of charge for our visitors. FREE report! In this weekly NASS Broiler Hatchery report, you’ll see chicks placed and eggs set data at the national level from broiler and hatchery reports. As in all the AIM Reports, you can track historical data and compare year-over-year data. Try it now! 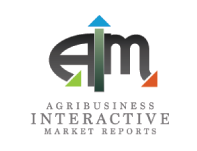 Innovative IAG reports provide visualizations that are unlike anything else in the industry. Sent weekly, customers use these reports to do their own analyses, or they can turn to the experts at IAG to interpret the data and advise them on their next strategy. Now, you've got the data. Call IAG to learn how to "Get Optionated!"